A liberating supplement to regular school teaching. Let’s give children new knowledge through awareness of their own inner feelings in a natural manner. Mindfulness workshop for one child. Mindfulness course for one teacher. Halfday workshop for 10 children. Let’s learn to breathe properly and control our emotions when we are still children, so we will be calmer, more satisfied and healthier in adulthood. The practice of yoga and mindfulness can give all of this to children. Yoga and mindfulness help teach the ability to fully concentrate and develop balance, and helps acquire stability. Children learn to relax appropriately and become aware of their own emotions. We organize mindfulness course for children and their teachers. 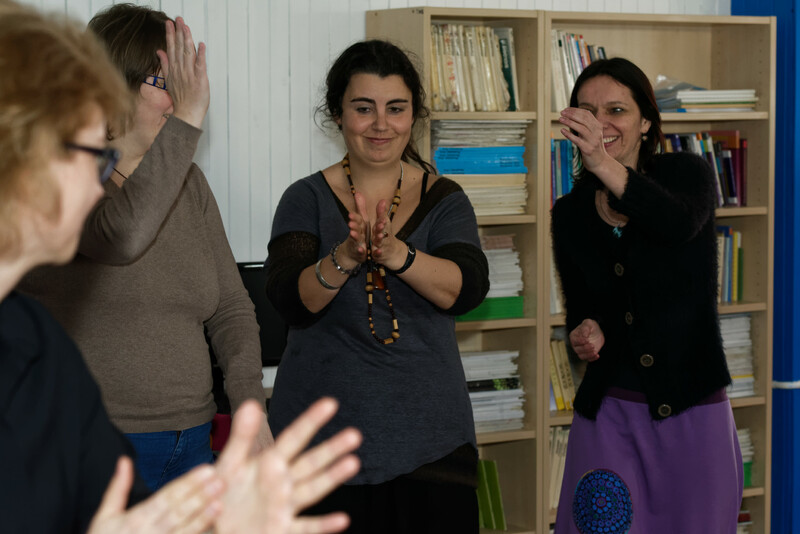 We organise and support a mindfulness course for teachers at primary and secondary schools. Thanks to improved understanding of their feelings, children are better able to understand those of others. They find it easier to see what feelings lie behind certain behaviour patterns. Awareness of your own body is a fantastic springboard to appreciating the quality and pleasure of learning. 30.8.2018 proběhne kurz rozvoje všímavosti pro 15 učitelů ze Základní školy Řevnice. 18. dubna proběhl v Brně kurz všímavosti pro 12 učitelů z přilehlých základních škol. 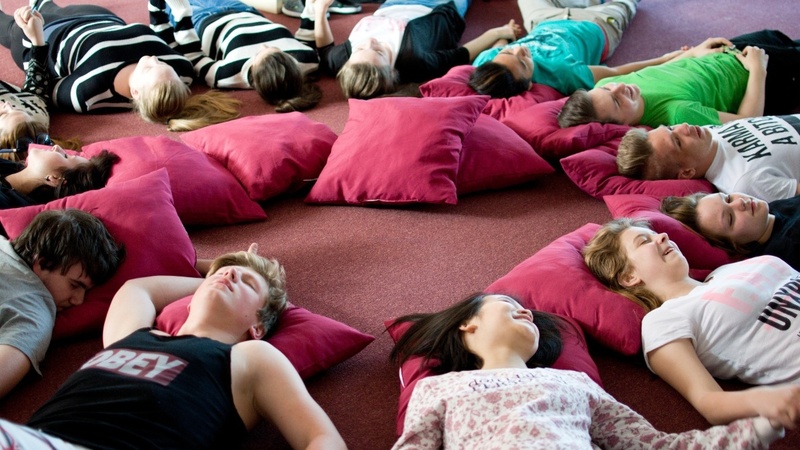 Proběhlo mindfulness školení pro 12 učitelů z různých míst ČR v krásném prostoru Rybalka. Připravujeme mindfulness kurz pro učitele ze ZŠ Dolní Královice. Kurzem rozvoje všímavosti u nás prošlo od roku 2016 již přes 120 učitelů základních a středních škol. Sledujte aktuální termíny na našem webu. Na ZŠ Eden v Praze jsme podpořili mindfulness kurz pro učitele. Kurzem prošlo přes 30 učitelů. Organizujeme mindfulness kurz pro učitele ze ZŠ Vsetín Sychrov a ZŠ Slušovice.